When we go to a hospital, we expect to be taken care of. We expect our health to improve once doctors and healthcare professionals have attended us to. We don’t expect our health to deteriorate. However, there are cases when the experts get it wrong, or whereby the healthcare provider has failed as a whole. If this has happened, and you have received injuries as a result, you deserve to be compensated. So long as you can prove that you have been injured or suffered an illness because of someone else, you have the grounds for a successful claim. You could also take legal action for compensation if you are the next of kin of an individual who does not have the capacity to take legal action him or herself, or for someone who has died due to the negligent medical treatment they have received. For more information, read on. What is a medical negligence solicitor? Can my medical negligence solicitor file my compensation claim against the NHS? After I start my claim with my medical negligence solicitor what would I then need to do? How long do you have to claim for medical negligence? Can I get free advice from a medical negligence solicitor? What are the benefits of using a specialist medical negligence solicitor compared to a non-specialist solicitor? Why choose us as your claims service for a medical negligence claim? In this guide, we reveal everything you need to know about using a medical negligence solicitor to lodge a claim. This includes information on whether your solicitor can file the claim for you and what is needed to start a claim. We also provide in-depth detail on the time limits associated with medical negligence claims, as well as the benefits of using a specialist medical negligence solicitor over a non-specialist solicitor. If you reach the end of the guide and you still have questions about using a medical negligence solicitor, please do not hesitate to get in touch. We will be more than happy to answer any questions you have, and we also provide free, no-obligation advice for anyone that gives us a call. A medical negligence solicitor is a solicitor that has been trained in securing compensation for the victims of medical negligence. Medical negligence occurs when a person has sustained an injury due to their healthcare provider. 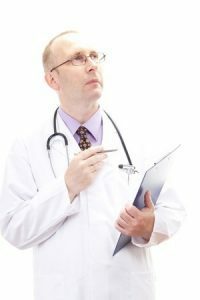 Examples include a healthcare provider failing to warn you about the risks of a certain treatment, failing to get your informed consent to treatment, giving you the wrong drug, making a mistake during an operation or procedure, and making the wrong diagnosis or failing to diagnose your condition. If you have suffered at the hands of your healthcare provider, a medical negligence solicitor will help you to get the compensation that you deserve. Some recent statistics indicate that medical negligence cases are on the rise. In 2016, the NHS paid out a record high of £1 billion in damages for medical negligence. The total figure has almost double since 2010/11. The official statistics reveal that maternity blunders have fuelled the increase in claims. This has led patient groups to call for greater safety in hospitals. The CE of the Action against Medical Accidents charity, Peter Walsh, revealed that NHS is currently failing to sufficiently improve in terms of the safety record, which is why they are outlaying too much on litigation. He also stated that the UK public health provider is outlaying too much in terms of time and costs defending cases it should not fight. If your solicitor agrees that you have a valid claim, they can file your claim against the NHS for you. The best thing to do is give us a call and speak to one of our medical negligence lawyers who will happily advise you on the strength of your claim and whether you should proceed. If so, we can start the process and we will handle your claim on a No Win No Fee basis. This mans that you are only going to be subject to legal fees if your case is a success. You can find out more information about this below. Every case is different, however, once you have signed your No Win No Fee agreement with your solicitor, they will do all of the hard work for you. They will talk you through the claims process, so you know exactly what is entailed. Plus, they will ensure that you have submitted all of the relevant information and that you have enough evidence to back up your case. In most instances, you will need to attend a medical for your injuries. However, this is something that our solicitors can easily arrange locally and at no cost to you. Document financial losses – You will most likely be able to claim for expenses out of your own pocket that you have had to pay because of the injuries you have suffered. These are often called ‘special damages’ and they can include counselling costs, income loss, travel expenses, and childcare. Keep hold of any receipts or other documents that will prove your expenses. Get a medical opinion – As mentioned above, you will typically be required to attend a medical for your injuries. This is something we can arrange, or you can do so yourself. This is important because the medical report that your doctor puts together will be used to determine how much compensation you will receive. Collect evidence – There are lots of different types of evidence you can use in your case. This includes witness statements and photographic evidence. Gather whatever you can to strengthen your case and give you the best chance of success. It is important to be aware of the medical negligence claims time limit. This is three years, which means you have three years from the date that you were the victim of medical neglect or negligence. If your injuries have taken a while to develop and, therefore, it is difficult to pinpoint an accident date, you will have three years from the date of your diagnosis instead. However, it is advisable to claim sooner rather than later. There are a number of reasons for this. Firstly, court proceedings need to be issued within the three-year time limit. Secondly, you will find it a lot easier to claim the sooner you do so. This is because the details will be fresh in your mind and it will be a lot easier to gather critical evidence, for example, witness statements. When it comes to medical negligence cases for children, the child has three years from the date of their 18th birthday to make a claim, no matter how old they were when they were a victim of negligence. Alternatively, their parent can make a claim on their child’s behalf before they turn 18. If the claim relates to an individual who is unable to manage their own affairs due to a mental disability, the three-year time limit will not apply until they have recovered from their disability – if, indeed, they do recover. If the person will not recover, a parent or guardian can claim on their behalf. For more information about this, all you have to do is give us a call. Yes, you can get free advice from one of our NHS medical negligence solicitors or one of our private healthcare negligence solicitors. All you have to do is call, and one of our experienced and friendly advisors will happily assist you in any way they can. You can ask as many questions as you like and we will give you a realistic assessment of the strength of your case. All of this is available with no obligation to proceed with our service – that is entirely up to you. There are a number of reasons why you should search for ‘medical negligence solicitors near me’ online, as opposed to merely working with a general, non-specialist solicitor. The main benefit is the fact that specialist medical negligence solicitors will have many years of experience in the industry and they will have been trained specifically in these types of claims. If you were to work with someone who does not have this level of training or experience, there is a very high chance that they could make a mistake on your case, which could result in your missing out on compensation. You do not get a second chance to launch a compensation claim, and so it really is worth working with a specialist in medical negligence compensation. This will also give you complete peace of mind so that you can focus all of your attention on your recovery. Gross negligence – All healthcare professionals have a duty of care to put their patient first. Gross negligence refers to situations whereby this duty has been breached. This is the most serious type of medical negligence claim, and it often results in a court case. After the court case, if the healthcare professional has been convicted of gross negligence, there is a high chance that their professional license will be revoked. Vicarious liability – In such cases, the organisation that manages the medical practitioner is deemed responsible, for example, a private medical company or the NHS. Comparative negligence – This is a term used to describe situations whereby the victim is partly to blame for the injuries or illness they have sustained. You can still receive compensation in such circumstances, although the amount you get will typically be lower to reflect your involvement. Contributory negligence – Last but not least, we have contributory negligence, which is a term that describes incidents whereby the victim is responsible for causing their injuries or illness. As a consequence, no compensation or damages should be expected. Nevertheless, it is important to note that the type of negligence you have been victim to does not dictate whether you are eligible to claim. The most important factor is being able to prove that someone else is responsible for your suffering. If you can do this and claim within the time limit mentioned earlier, you will have a very strong chance of securing compensation. You may be wondering how much compensation you will receive. This is where your injuries do come into consideration, as well as a number of other factors, for example, whether you will miss work while you recover. It’s important to note that medical negligence payouts do vary considerably. Every case is different, as there are many different variables that have an impact on the payout amount. You may have come across a medical negligence compensation calculator online, but please note that these tools only provide a rough estimate. It is simply impossible to give you an accurate figure regarding how much money you will receive. Any solicitor that promises this is bending the truth and you may end up disappointed in the end. However, what we can do is give you a general overview of typical compensation payout amounts for injuries relating to most medical negligence claims. For more information about this, all you need to do is give our team a call. You can find our contact details towards the end of the guide. All of our solicitors for medical negligence work on a No Win No Fee basis. This means that you will only need to pay legal fees if your case is a success. If, for some reason, we are not successful in our quest to secure a payout for you, you won’t have to pay a penny. This eradicates the monetary risk that is typically associated with making a compensation claim. Usually, there is always the worry that you are going to end up with a massive legal bill yet you won’t have any compensation to cover the cost. This is why a lot of people do not claim when they would have been entitled to compensation. This is something you do not need to worry about when you work with us, as you will not find yourself in this type of predicament. There are a number of knock-on benefits associated with our No Win No Fee approach, which are worth bearing in mind. This includes the fact that you can be sure we will always be prioritising your case and working as hard as possible to get you the maximum amount of compensation you deserve. If you opt for a solicitor that charges per hour, there is always the worry that their motivation is not there. After all, they earn the same amount of money no matter whether they win or lose. You can also be certain that we will never waste your time; we will only take on your case if we believe you have a genuine chance of compensation. There are a number of medical negligence UK law firms you can work with. However, you will struggle to find a company that provides a better service than we do. We have many years of experience in the industry, and we have helped many personal injury victims to get the compensation that they deserve. You can rest assured that we have worked on many personal injury claims similar to yours before. Plus, we have an exceptional reputation to back our claims up. You only need to look at feedback we have received from previous clients to see that this is the case. One thing that sets us apart from other medical negligence solicitors is the fact that we always put our clients first. We know that it can be incredibly difficult to come to terms with medical negligence. After all, you have put your faith and your health in the hospital’s hands, and you expect them to help you get better, rather than make the situation worse. During such a difficult time, we want to make sure you are completely focused on your recovery while we focus on securing the maximum amount of compensation possible. This is always our main aim. If you want to make a claim for medical negligence, or you have any questions about the process, please do not hesitate to get in touch. You can reach our friendly and professional team on 0800 073 8804. One of our advisors will be more than happy to assist you in any manner they can. If you are ready to proceed with making a claim, they will match you to one of our specialist in-house medical negligence solicitors based on the ins and outs of your case. We are always dedicated to securing the maximum amount of compensation possible, so please do not hesitate to get in touch. This takes you to the UK Government website where you will find information on a closed consultation that took place between 30th January and 2nd May 2017. The consultation regarded the fixed recoverable costs for clinical negligence claims. The government were seeking views on the proposal to introduce a mandatory system in England and Wales of fixed recoverable costs for clinical negligence claims of a low value. Check out our guide on medical negligence claims. Find out information on how common medical negligence is, the different types of medical negligence claims that are made, as well as how much compensation you could receive if you make a claim. Head to our guide on hospital negligence claims. This link is full of useful information, including how to start a hospital negligence and neglect claim, what can be claimed for when making such a claim, a medical professional’s duty of care, neglect facts and statistics, and much more.